Thurston Moore, "Bull Tongue" column, Arthur Magazine, January 2003: "Bobb Trimble is a fellow who has been kicking around the Worcester, MA scene for a long time. He cut a couple of albums in the �70s whose combined bizarreness and rarity have made them favorites w/ a certain breed of collector. 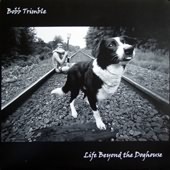 Now, a follow-up LP has emerged from the old country, Life Beyond the Doghouse (Orpheus, http://www.orpheusrecords.dk), and it�s as odd as its predecessors. The first side was recorded in �86, and balances itself between Bobb�s gauzily-layered, strangely-concocted singer-songwriterism, and some very bitchen Christian-lounge goosh. The second side was recorded live in �83 w/ the Crippled Dog Band (which was formed after outraged parents broke up his previous group ? you�ll have to read the notes for more info). This stuff is a pansy boy/raunchy rock garage mix, w/ an Amerindian-themed centerpiece, and it really has to be heard to be explained. It doesn�t come much realer than this." Unreleased tapes From 1983 and 1986. 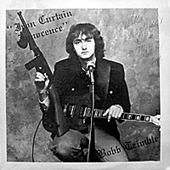 Side one is 1986 tapes where Bobb is backed by the same band that were featured on "Iron Curtain Innocence" (Bobb 80). The music is in the same vein as "Harvest of Dreams" (Bobb 81). 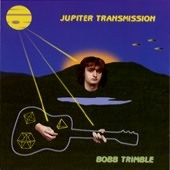 On side 2, from 1983, Bobb is playing with his band "Crippled dog" which features musicians from the "Harvest of Dreams" album. The music is 70�s punk orientated, but with roots deeply planted in the 60�s psychedelic songwriting tradition. 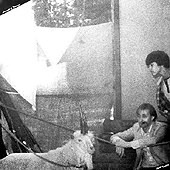 Forced Exposure Mailorder Catalog: "Bobb made a couple of home made weird psych-folk LPs at the dawn of the 80s that mixed Jandek-like visual obliqueness with a fragile, damaged, light-carousing psych that melted down a lot of psych dealers for years (the only place his LPs were ever for sale). This CD rescues the best of the 2 LPs, with restored master tape sound; nice booklet with lyrics, color graphics, etc. �stunning & now legendary psychedelic folkrock...top catalogs have all praised these songs as the pinnacle of expression & multi-layered sound...think "Strawbery Fields"/"I Am The Walrus" mode Beatles and folkpsych Floyd for starting points...multilayered voices unlike any you have ever heard...brooding and dark head music flowing into shimmering beautiful fragile glimpses from real life. The feeling is overpowering & the music is ageless. Otherworldly yet breathing with life.'" Bobb went to King Richard's Faire in Carver, MA to be photographed with the unicorn for this album's cover. Bobb�s music is fantastic and also make makes me feel sick the same time!Is very rare to hear something that causes you to feel both things the same time! Also, I like the sound, full of 70�s sound effects and that overall dream/nightmare atmosphere. Reccomended for people who interest in truly weird, homemade "real people" music! "Locked in a timeless world of bittersweet folkpsychedelia, Bobb recorded this first ultraobscure LP at a time when absolutely noone made psych LPs. Hits roughly the same spot as his more well-known 2nd LP with three awesome tracks at the outset and other winners scattered about; a couple weaker moments but all over a brilliant LP - blows most 60s psych LPs away. A superrare 45 was pulled from this LP. Most of it has been reissued on the 1995 CD, unfortunately two very good tracks on side 2 were omitted." -- The Lama, from "The Acid Archives of Underground Sounds 1965-1982"